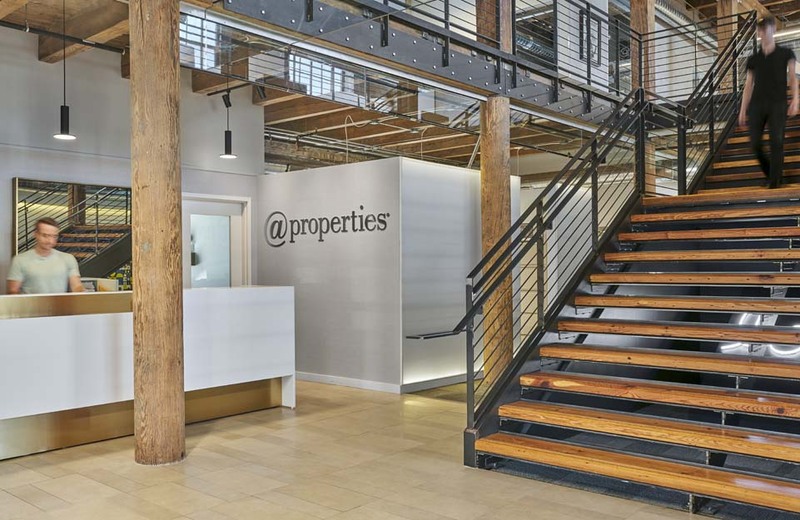 This 10,000 square foot branded interior for @ Properties establishes their new Goose Island headquarters. The gritty heavy timber space is well complimented by the bold graphic and clean interior design. 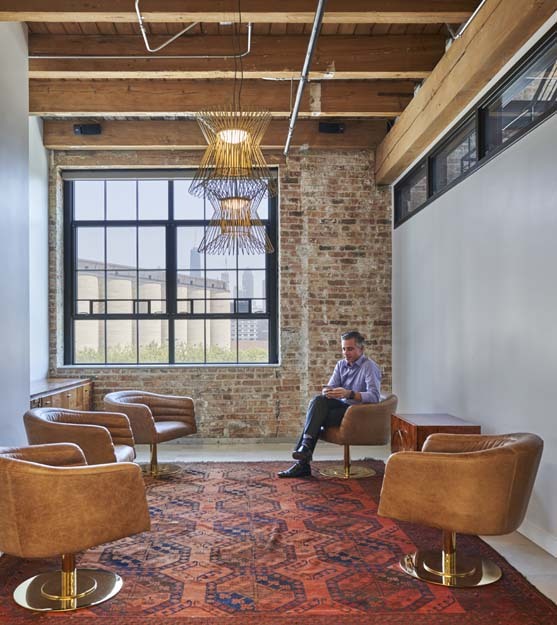 The use of back lit screens throughout the space provide ambient glow of light. Spaces are now private yet interesting in their translucent effect.